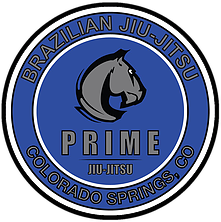 All students at Prime are exposed to the same training philosphies and techniques. 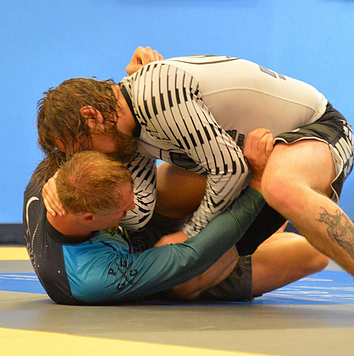 The main goal in training is to develop proficiency in the countless positions and techniques that Brazilian Jiu-Jitsu has to offer. What our students decide to do with that technique is up to them! 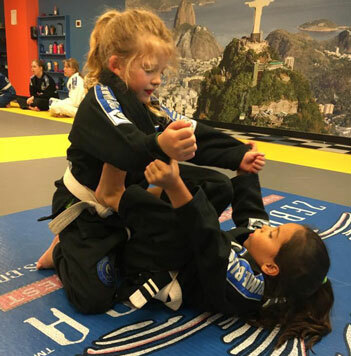 We have students who want to compete and reach high levels, students who are just looking for a fun way to stay in shape, and others who simply love training BJJ and feeling the sense of accomplishment when they see themselves improve on the mat. Whatever the goal, our job is to help you reach it. We love our World Champions and Pan American Champions (yes we’ve produced major champions in our few short years since opening). Our kid, teen, local and regional tournament champions are loved too. We’re very passionate about our Prime kids and making sure they are inspired by positive role models. We also love our men and women who come and try their hardest, when maybe their only goal is to just show up 3 times a week. Either way, every student is a valued member of the team. Q: I’ve heard that it takes longer to get belt promotions in Brazil…is that true? A: For the most part, that is true. 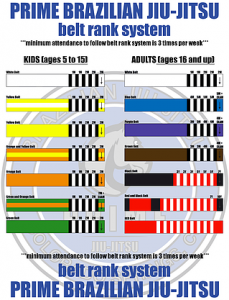 In the two and a half years I have been in the US, I’ve noticed many Brazilian Jiu-Jitsu students here with belt levels higher than their Brazilian counterparts. That’s something that hurts students, so I try and evaluate them based off of a true Brazilian standard. You should never worry about your belt level, though, just stay focused on learning BJJ and the rest will come.